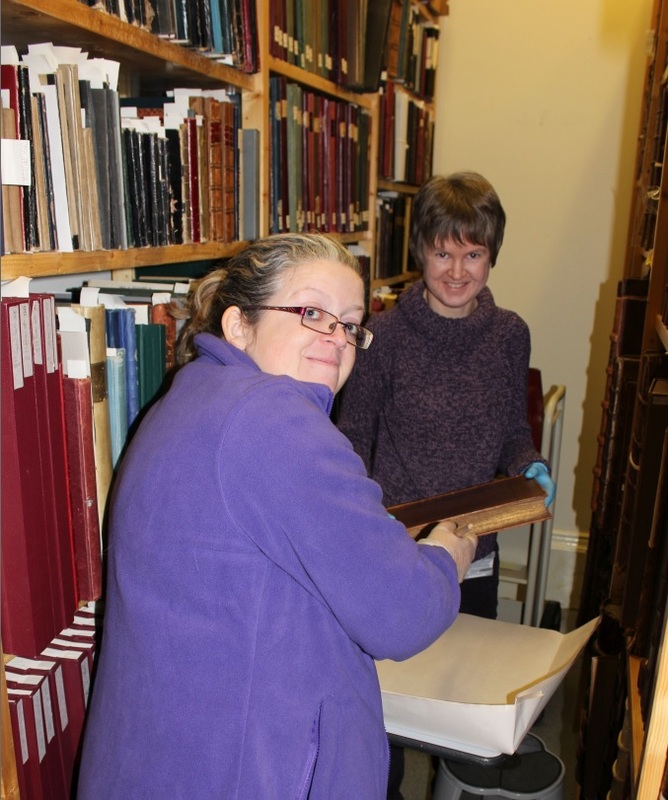 If it appears it has been a little quiet on this blog recently, that is because since Christmas we have been busy cleaning our rare books with the help of a team of colleagues from our Housekeeping Department and with specialist training from a senior conservator. 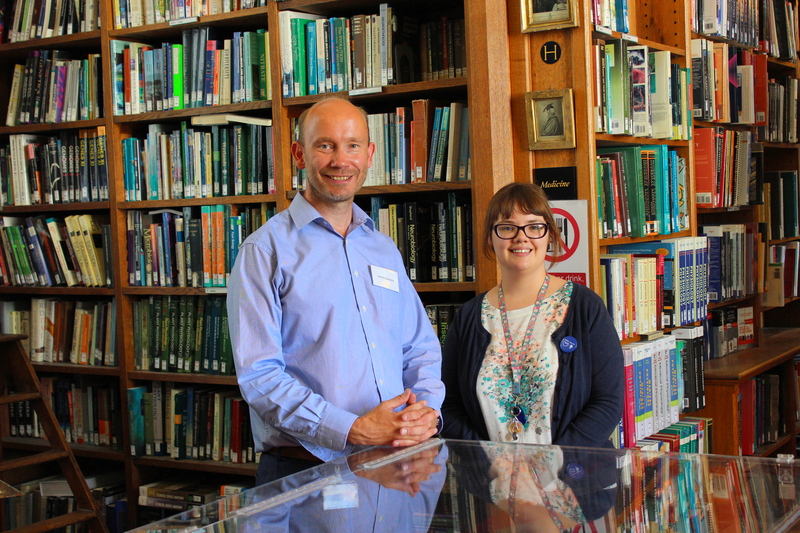 Those of us who work in memory institutions such as libraries, archives or museums are all custodians of our heritage looking after our special collections for the next generation. 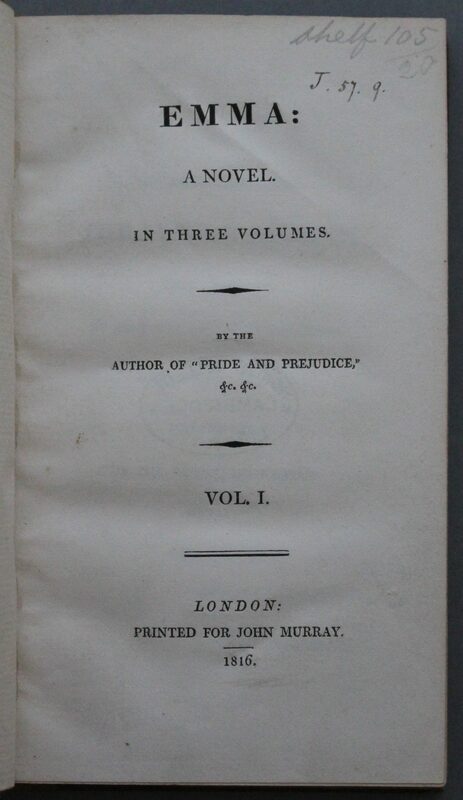 Rare books, like anything else, need to be looked after in the right conditions, and cleaned in order to keep them in good order and reduce the risk of problems arising. 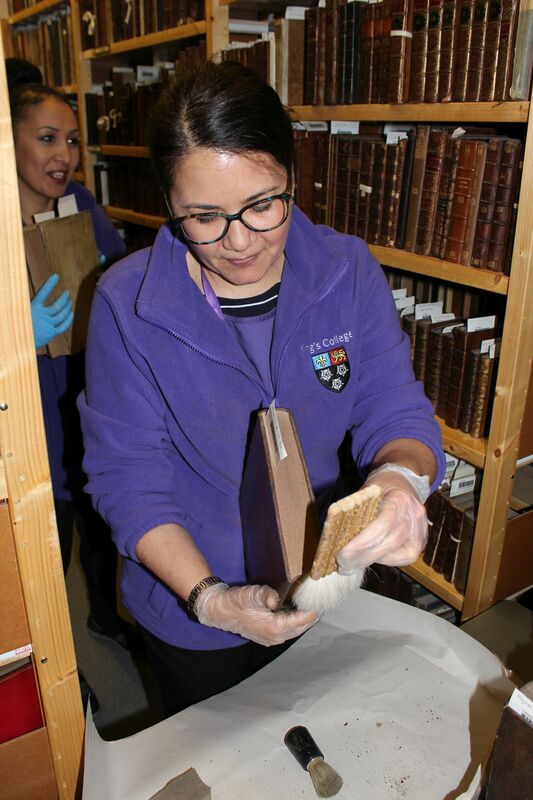 At King’s we follow industry standards to ensure that our rare books are stored in the correct environments. We use air conditioners and dehumidifiers (where necessary) in our stores to ensure that conditions remain constant. Paper needs to be stored in the temperature range of 16 to 19 degrees celsius and at a relative humidity of between 45 and 60 percent. If the conditions become too warm and humid we run the risk of mould growth on the books, and if they become too dry and cold there is the risk that the paper becomes brittle and breaks. To ensure that we retain these levels, our stores are all monitored 24/7 and checked by a librarian every day. 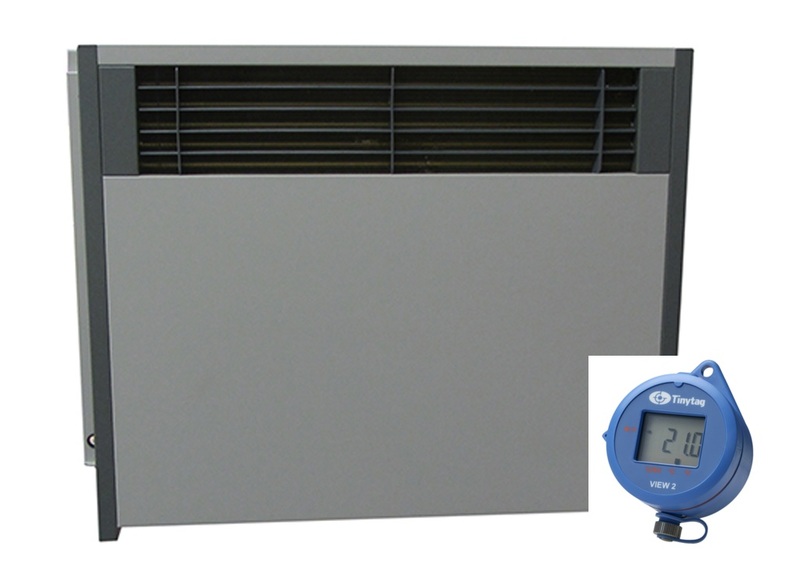 A typical wall-mounted dehumidifer (background) and a device that constantly records the temperature and relative humidity (foreground). 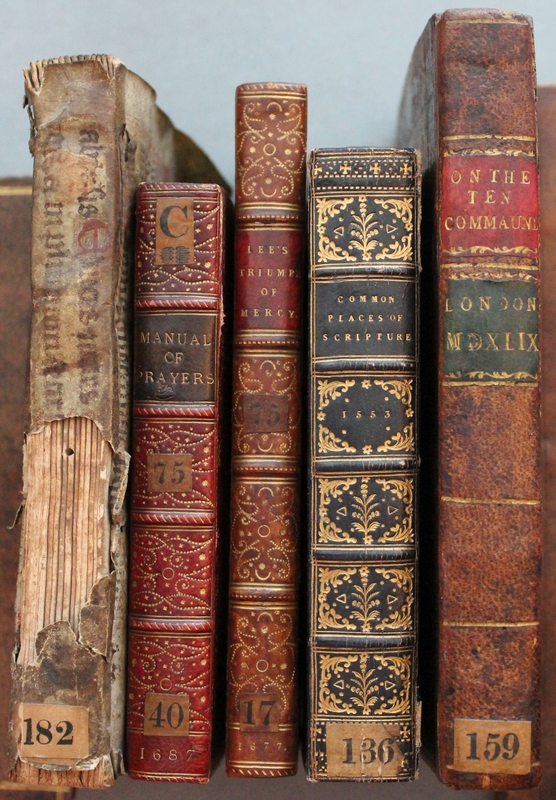 Various pests can also cause considerable damage to rare books, including bookworms, silverfish and moths which are attracted to and will chew through the paper, leather or glues used in the making of books. Whilst all libraries have examples of books that have suffered such damage in the past, we do all we can to ensure such outbreaks do not recur. 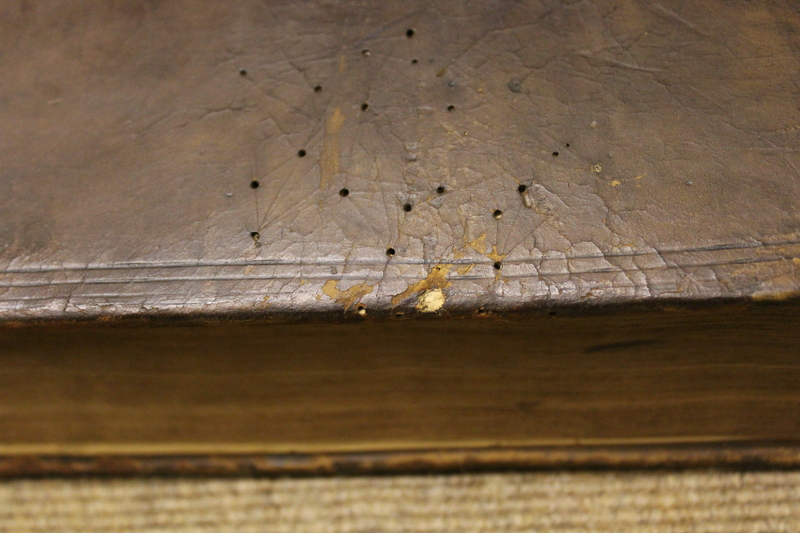 Worm holes (old) bored through the leather binding and upper board (front cover) of this sixteenth-century book. 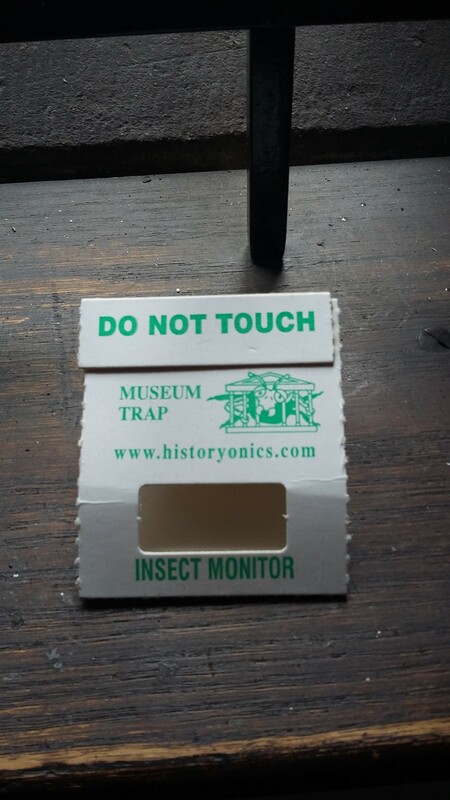 One measure used at King’s is to monitor regularly each rare book store using blunder traps, a small trap with a sticky surface which is placed at ground level and will trap any insect that walks into it. Monitoring these traps regularly allows us to discover quickly if there is an outbreak of a particular insect type in a rare book store and take appropriate action. Preventing the build-up of dust and dirt helps in the fight against some of the problems outlined above. 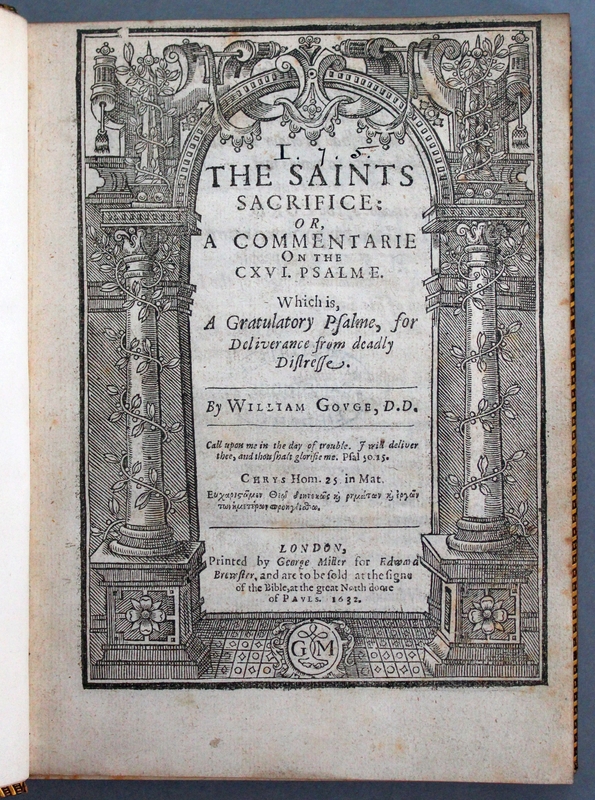 Cleaning rare books is a delicate process, however, as many will inevitably be in a more fragile state than a modern book, or might have beautiful hand-decorated bindings that have to be cleaned with the utmost care. Everyone doing the cleaning had to be trained in how to handle rare books. Colleagues cleaning rare books. Here you can see a soft brush being used to brush the dust on the top fore-edge of the book away from the spine onto the tray beneath. 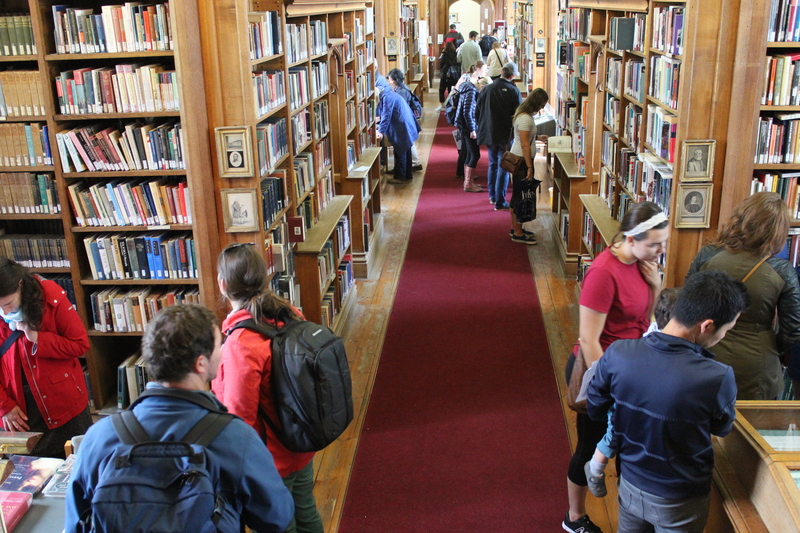 The process involves removing all the books from one shelf (working from the top shelf down), cleaning the shelf, cleaning all the books individually, and then replacing them on the shelf. No chemicals can be used on or near rare books, and special fine brushes are used to dust the books, always brushing away from the spine to ensure the dirt and dust doesn’t build up in the spine. Those books that have more robust leather bindings can be ‘dry cleaned’ gently using a so-called ‘smoke sponge’ (made of vulcanized natural rubber) to remove surface dirt. We have also been making use of special conservation vacuum cleaners to hoover up dust and dirt. These have much lower suction levels than conventional vacuum cleaners and also come with a variety of fine, small brushes. 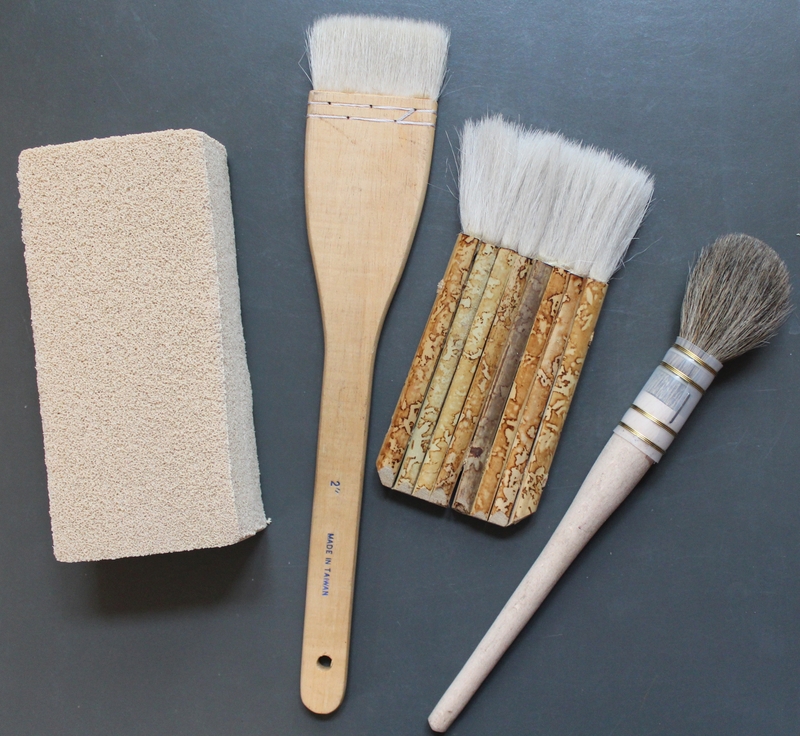 Some of the brushes and smoke sponge used for cleaning rare books. 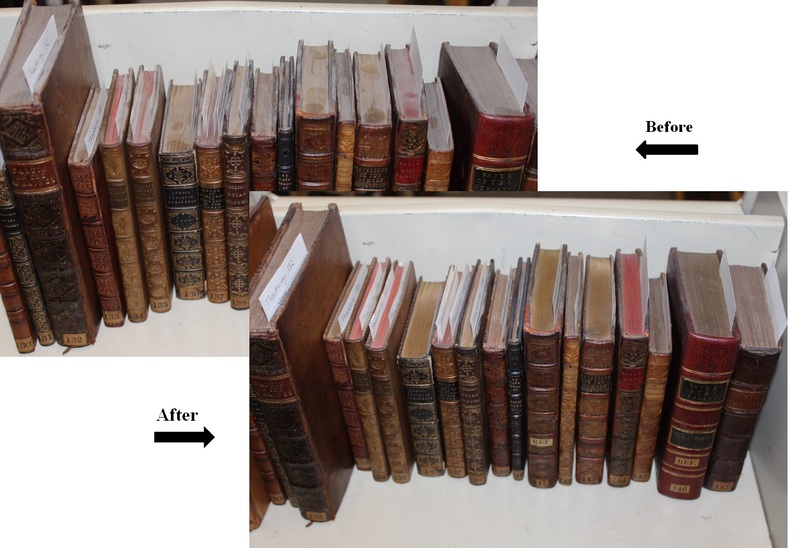 A shelf of dusty and dirty books from the Thackeray Collection before and after cleaning. 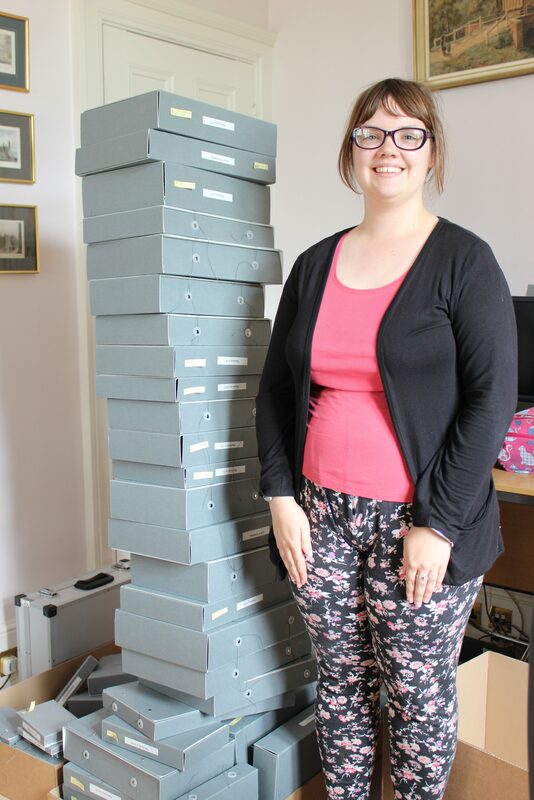 This important work is part of our HLF-funded Thackeray Collection Project.